I thought he had enough to cover it in his GoFundMe? Maybe it could cover his burial expenses? That was so nice of you Savior!! If someone finds his obit, please post it here-maybe there's a Memorial Fund? No more Doom Nigel. Just PEACE with NO PAIN! They deleted it?! How low do you have to get? I saw Nigel last night! I know some of you won't believe me, and you may think, when you're dead, that's it. No, existence goes on. But I respect others' beliefs, and am not in the mood to argue metaphysics with anyone. I've got to go out to work now, but will post later this evening when I get home. (10-10-2016, 05:01 AM)Kuthal Wrote: I thought he had enough to cover it in his GoFundMe? Maybe it could cover his burial expenses? That was so nice of you Savior!! Yeh I put the same amount Into his Bank .. just so he could concentrate on fighting without worrying where the cash would come from .. the GoFundMe was to cover alternative medicines that kinda stuff over here . I have been in touch with a mate over there who sat with Nigel to make sure he never died alone , he sent me a pic of Nigel . I'm waiting to hear about what's happening and let you guys know . 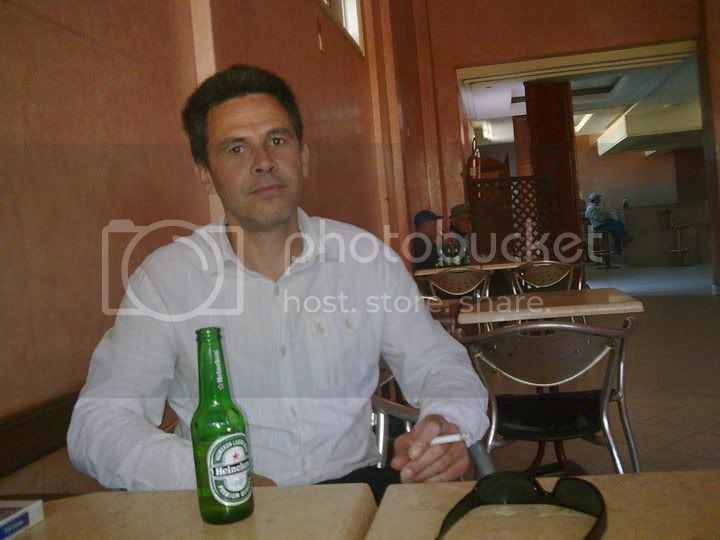 I was looking at some old and memorable threads, Nigel posted a lot of photos 4 years ago when he lived in Morocco. Rest in peace Nigel, you put up a good fight and your adventurous and kind spirit will be missed by me and many others. This just breaks my heart! What a warrior he was, bravely fighting cancer til the end. I'll never forget him. At least here I can mention your name. This is for you Nigel. You did great and now you are at peace. You will not be forgotten, nor erased, but forever in our hearts and minds. The fire of your fighting spirit will burn on till eternity. Hi guys I need as much info as you can on Nigel before he gets buried under no name ( I wouldn't let that happen as it would prey on me for rest of my life ) so if anyone knows anything can you let me know .. I have some army stuff but can you help me guys ..